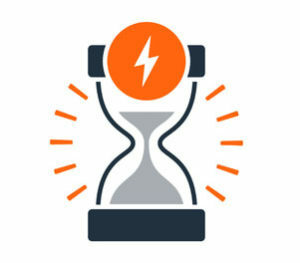 Is your website fast enough? Users now expect websites to be lightening fast, and companies who don’t comply will ultimately lose out to their competitors who invest in delivering a great, and quick, website experience. Per Google, traffic to a website is hit in a big way if it does not open in 3 secs. Page load speed is such a direct co-relation with visitor engagement that Google made it a part of their ranking factor back in 2010. Google discovered when they ranked slow sites people would use Google less. Soooo if you have a website with cool graphics, great content and online marketing campaign…but your website takes forever to load (cough 3 seconds), you’ve lost half of the battle. Below are a few quick tips to improve your websites page load time. 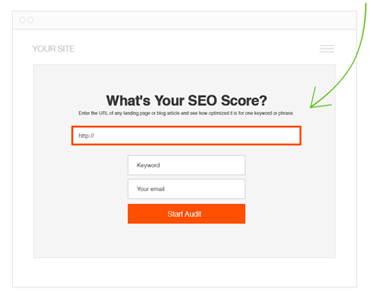 We built a Website Speed Test, into our SEO report, to help you analyze the load speed of your websites and learn how to make them faster. It lets you identify what about a web page is fast, slow and too big. Another great tool to try is Pingdom. Unfortunately not all WordPress themes are created equal. Some are developed by professionals and others by novices with little to no experience. The difference between fast and slow is always whats under the hood. Slow themes typically run a bloated plug-in library designed under the guise of being user friendly. When you choose a theme, check the page speed of the theme’s demo, using our free SEO tool, to see how quickly it runs with nothing added to it. A content delivery network is a distributed system of servers deployed in multiple data centers across the Internet. The goal of a CDN is to serve content to end-users with high availability and high performance. A simple and cost effective CDN for your website check out CloudFlare. They take care of all the heavy lifting. To get started you just provide them your domain name and they take care of the rest. To implement the CDN you only have to switch your DNS with new name server information for your requested domain. MaxCDN is also a great and affordable option to optimize the loading time of your site. Each script you take off the page will improve its loading speed by about 100 to 300 ms or more, so if you shave off three unused analytics scripts, that can save you almost a full second. The web is no longer solely a textual medium, and many sites have a lot of engaging visual content. Unfortunately, images download a lot slower than text does. Happily, you can decrease the amount of time it takes to download images by using lossless compression on them. This uses features of the image processing software on people’s computers to convey exactly the same image — down to the pixel — using less space. These compressed images will download faster and use less bandwidth. Don’t scale images on your website. Create a thumbnail of the image that you need at the exact dimensions that it will be used in your pages. By creating a larger file and resizing it on your website you are now giving your visitors browser one more thing to do. Your visitors load time can be drastically hampered by simple mistakes like this. For example, if you have an image that it is 1000px x 700px and you want to use a “scaled” version, create a new resized version of the original image and use that instead. W3 Total Cache, WP Super Cache and WP Fastest Cache are a few free WordPress plugins that are designed to improve user experience and page speed. They provide different kinds of caching i.e., page caching, database caching and object caching among others. Browser caching is a tricky issue. A handful of great caching plugins are available, but if set up incorrectly, they could cause more bad than good. From experience these types of plugins have a cascading on the speed of your website. But this can be fixed by embedding social buttons into the theme’s source code. Often times, WordPress sites load slowly because of poorly configured plugins or because there are so many of them. By using the P3 plugin, you can narrow down anything causing slowness on your site. P3 creates a profile of your WordPress site’s plugins’ performance by measuring their impact on your site’s load time. These tips take only a few minutes to do, requires minimal technical skill, and can translate into your page loading seconds faster than it used to be. There are many other optimizations you can make with even better results, but they’re more complicated. Thank you for sharing such an informative article on how to make your website loading page faster.Very helpful to those whose page takes lots of time in loading. Amazing post, I will follow these instructions. Are you sure using CDN (cloud flare) won’t hurt SEO? Some are written in favour and other are opposing it. What is your take? I would say its one of those things that is not as much of a factor if you have other more important seo issues with your site. Yeah, thanks. I am more worried about website load as it seems to be the main ranking factor for mobile users, as it looks with google’s direction. Due to its simplicity to use features and a large library of easily available plugins, even a new or zero knowledge tech person like me can build the professional websites by using the WordPress. And following some new updates in Google’s ranking algorithm, site loading speed has become even more necessary for a ranking website. Thank you so much for sharing an excellent article about “Faster Loading WordPress Plugins”. These are the plugins which I feel everybody need to be used in their blogging life. Now as you explain superbly the use of plugins to us, I am going the practice those to my blog. Also, with my experience, I highly suggest you configure Cloudflare with your website. It’s free, easy to install & it offers free CDN & makes your blog fast and secure. One quick question; using too many plugins make the blog or website to load slowly. What do you say? Thanks in advance. Hi Charlie, great article. Choosing best hosting service to optimizing the website images all the technical parts need to be done to have a fast loading website. You can use the tools like Page speed insight, GT metrix & Pingdom to your measure website speed and it also shows teh tweaks to be optimized. Hello sir, thank you for sharing this informative blog regarding loading time reduction of the WordPress site, we are having our own e-commerce multi-vendor website, and we are having the same problem of loading time, but your is very helpful for me to reduce the loading time of the site. Thanks again sir. It’s always frustrating to visit a slow loading web page. Site speed is essential. Thanks for this great article! I find that it is the number one factor causing bounce rate. Most people don’t have the patience to wait more than a few seconds for your site to load. My website is very slow at 3.3s loading time, so I want to figure out how to implement your recommendations to get it faster. I don’t want visitors leaving my site because it is too slow. I have CDN running on my sites, and they prefer themselves as they calculated security and speed. Many security features and content optimization features they provide for free if valued it will cost thousands. Also, I just want to suggest using the DNS services also. They will improve to reduce the DNS lookup quicker than your own hosting. Furthermore, I especially just go for overall speed shown by the Google Webmaster Tools panel. The faster my speed, the better my rankings in search ranking. I’m currently struggling on increasing my site speed on a new site, and you guide very effective! What I think is most useful is the every segment of your guidelines tells what exactly needs to be done. A magnificent information on making things faster for your web. Your recommendation will be very helpful on my website. Thank you for sharing!